Nida Rooms is working with Leo Burnett Malaysia to tell hotel customers to get out and live. 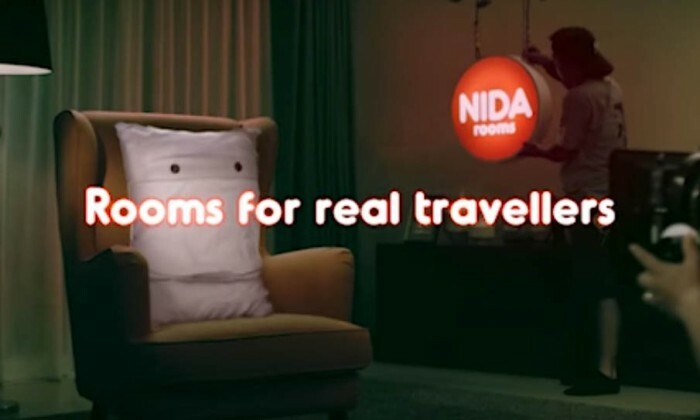 Nida Rooms wanted to appeal to the Millennials with its energetic, and the explorers who are addicted to travelling – creating a worry and stress free hotel booking experience for all your budget travel needs. Towards the end of 2016, Leo Burnett Malaysia were presented with the opportunity to pitch for the branded hotel network, Nida Rooms. When all hotels around the world urge their consumers to ‘sleep in’, ‘feel our pillows’, ‘laze on our balcony’ – something new needed to be said. The entire campaign was created with the idea in mind of getting out and venturing every nook and cranny the world has to offer – even to the extent where the items in the rooms themselves are telling the public how amazing the world outside the rooms are. ‘Live to explore’ was born. “In a market where all go left – go right. Stand out. Be different. That’s how you make your mark”, said Kaneswaran Avili, CEO of Nida Rooms. “We are very appreciative of being able to work on developing the voice of Nida Rooms, and bringing their philosophy to light for them. Don’t stay in, get out!” as said by Ian Lee, creative director at Leo Burnett. Mentos’ latest NDP gag – hit or miss? Sammy Hsieh answers the question of how to reach and engage customers effectively by using multiple and connected channels. ..